Appreciate the past; Live the present; Anticipate the future. Today I had the privilege of seeing my great-nephew receive his First Communion. At the end of the Mass, the priest blessed the mothers, grandmothers, foster mothers, single mothers, would-be mothers, mothers of lost sons and daughters. Then, he invited us outside into a glorious blue day to participate in the crowning of Mary. I thought, how fitting that we honor the Mother of God on Mother’s Day. This woman, who watched her Son’s ministry, and ultimately His death and resurrection, is an example of strength and courage in the face of adversity. Being a mother is a beautiful gift, and yet when you love so fully, there will be pain. I’m grateful that I have this wonderful example of motherhood to guide my days. Enjoy reading, writing, hiking, hangin' with family, friends and my dogs, watching soccer (Go Breakers), baseball, football. Favorite foods are coffee, chocolate, and artichokes. Always thinking of new stuff to do and then not doing it. 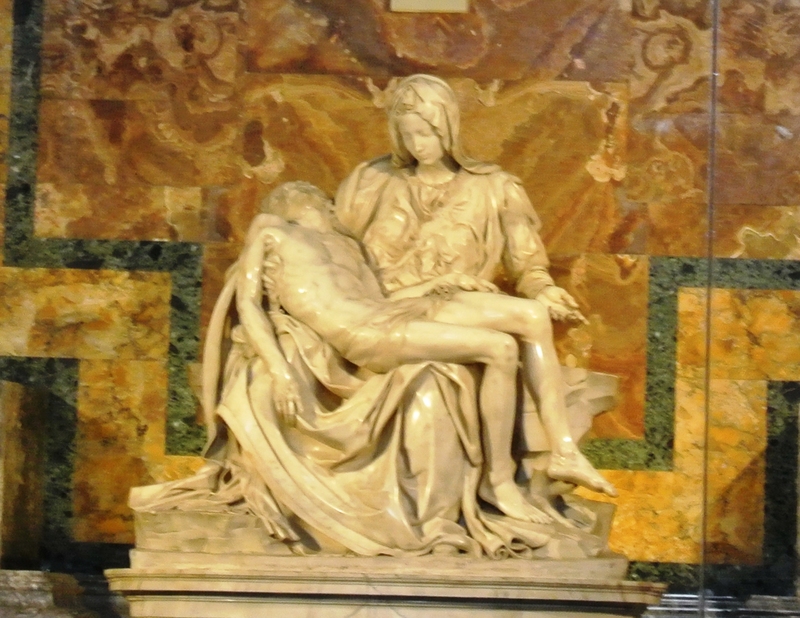 This entry was posted in Faith and tagged Mary, Mother’s Day, motherhood, The Pietà. Bookmark the permalink.